As the life expectancy of our population increases, so do the many issues of providing care for the elderly. Spouses and children of the elderly are faced with difficult decisions in providing their care. These issues may require the services of a variety of professions including, but not limited to, legal counsel, estate planning, medical professionals, accountants, tax advisors, etc. The following tax implications may or may not come into play with an overall eldercare plan. They are provided to alert you to some of the many issues that affect eldercare planning, but are not a substitute for the services of the appropriate professional. If you have tax related questions or need a referral to other professions providing eldercare services, please give this office a call. W ith people living longer, many find themselves becoming the care provider for elderly parents, spouses and others who can no longer live independently. When this happens, questions always come up regarding the tax ramifications associated with the cost of nursing homes or in-home care. Amounts paid for special equipment installed in the home, or for improvements may be included in medical expenses, if their main purpose is medical care for the taxpayer, the spouse, or a dependent. If you pay the medical expense for someone who is a medical dependent, you can deduct the medical expenses for that individual. Amounts paid for long-term care services and certain premiums paid on long-term care insurance are deductible as medical expenses on Schedule A. Explains a multiple support agreement. T his article explores the tax ramifications for providing care for the elderly at home or at a care facility. Medicaid - Explains, in general, the requirements to qualify for Medicaid assistance in caring for elderly individuals that do not have financial capabilities of caring for themselves. U.S. Dept. of Health and Human Services - Administration on Aging. Elder Law Answers - An Association of Elder Law Attorneys. Elderweb - A private site with additional resources. With people living longer, many find themselves becoming the care provider for elderly parents, spouses and others who can no longer live independently. When this happens, questions always come up regarding the tax ramifications associated with the cost of nursing homes or in-home care. As an alternative to nursing homes, many care providers are hiring day help or live-in employees to provide the needed care at home. When this is the case, the services provided by the employees must be allocated between household chores and deductible nursing services. To be deductible, the nursing services need not be provided by a nurse so long as the services are the same services that would normally be provided by a nurse such as administering medication, bathing, feeding, dressing etc. If the employee also provides general housekeeping services, then the portion of employee's pay attributable to household chores would not be a deductible medical expense. Household employees, like other employees, are subject to Social Security and Medicare taxes, and it is the responsibility of the employer to withhold the employee's share of these taxes and to pay the employer's payroll taxes. Special rules for household employees greatly simplify these payroll withholding and reporting requirements and allow the Federal payroll taxes to be paid annually in conjunction with the employer's individual 1040 tax return. Federal income tax withholding is not required unless both the employer and the employee agree to withhold income tax. However, the employer is still required to issue a W-2 to the employee and file the form with the Federal government. A Federal Employer ID Number and a state ID number must be obtained for reporting purposes. Most states have special provisions for reporting and paying state payroll taxes on an annual basis that are similar to the Federal reporting requirements. If you need assistance in setting up a household payroll, please contact this office for additional details and filing requirements. Nursing Services Wages and other amounts paid for nursing services can be included in medical expenses. 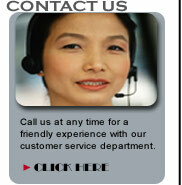 Services need not be performed by a nurse as long as the services are of a kind generally performed by a nurse. This includes services connected with caring for the patient's condition, such as giving medication or changing dressings, as well as bathing and grooming the patient. These services can be provided in the home or another care facility. The taxpayer provided over half of that person's total support for the calendar year. Medical expenses of any person who is a dependent may be included, even if an exemption for him or her cannot be claimed on the return. Medical Expenses Under A Multiple Support Agreement - Under the provisions of a multiple support agreement, only the one who is considered to have provided more than half of a person's support under such an agreement can deduct medical expenses paid, but the medical directly paid by that individual. Any medical expenses paid by others who joined in the agreement cannot be included as medical expenses by anyone. A multiple support agreement is used when two or more people provide more than half of a person's support, but no one alone provides more than half. Whoever is considered to have provided more than half of a person's support under such an agreement can deduct medical expenses paid. Any medical expenses paid by others who joined in the agreement cannot be included as medical expenses by anyone. Amounts paid for long-term care services and certain premiums paid on long-term care insurance are deductible as medical expenses on Schedule A. Costs of care provided by a relative who is not a licensed professional or by a related corporation or partnership don't qualify. The maximum amount of long-term care premiums treated as medical depends on the insured's age and is inflation-indexed annually. 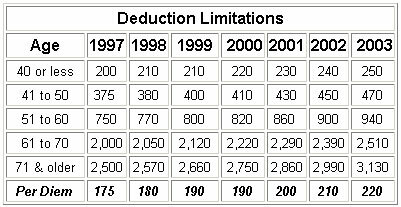 The following are the deductible amounts for the past few years. If the taxpayer paid long-term care premiums and qualifies for a medical deduction on Schedule A of their tax return and did not include them in their medical deduction, the return can be amended to include the deduction. Please call this office to see if the deduction will make a difference and to have us prepare the amended returns. Employees generally won't be taxed on the value of coverage under employer-provided long-term care plans. However, the exclusion doesn't apply if coverage is provided through a cafeteria plan. In addition, long-term care services can't be reimbursed tax-free under a flexible spending account. The "Long-term contract" is an insurance contract that provides only coverage of long-term care and meets certain other requirements. Some long-term care riders to life insurance will also qualify. Benefits under a long-term care policy after '96 (other than dividends or premium refunds) are generally tax-free. For per-diem contracts that pay a flat-rate benefit without regard to actual long-term care expenses incurred, the exclusion is limited to $175 a day, indexed for medical cost inflation (amount was $210 in 2002) except when long-term care costs incurred are more than the flat rate and are not otherwise compensated by some other means. A contract isn't treated as a qualified long-term care contract unless the determination of being chronically ill takes into account at least five activities of daily living-eating, toileting, transferring, bathing, dressing and continence. "Long-term care services" include necessary diagnostic, preventive, therapeutic, curing, treating, mitigating, and rehabilitative services, maintenance or personal care services prescribed by a licensed practitioner for the chronically ill.
A "Chronically ill person" is one who has been certified by a licensed healthcare practitioner within the previous 12 months as: (1) unable to perform at least two activities of daily living (eating, toileting, transferring, bathing, dressing, continence) without substantial assistance for a period of 90 days due to loss of functional capacity, (2) having a similar level of disability as determined in regulations, or (3) requiring substantial supervision to protect from threats to health and safety due to severe cognitive impairment. The requirement that a qualified long-term care insurance contract must base its determination of whether an individual is chronically ill by taking into account five activities of daily living applies only to (1) above (being unable to perform at least two activities of daily living). In-home Care - If the elderly person has the option to remain in their home and provide in-home care, that care is deductible as a medical deduction, provided the expenses are directly related to the individual's medical care. If the individual or individuals providing that care also provide household services, the cost must be allocated between deductible medical expenses and nondeductible personal expenses. The individual or individuals providing the care need not be a nurse, granted they are providing services normally administered by a nurse. In-home care is also subject to the rules for household employees that require the employer (the elderly individual) to withhold FICA and Medicare taxes and issue a W-2 at the end of the year. There are generally state filing requirements as well, so please call this office for assistance in setting a household payroll. Care Facility - If the option is to place the elderly individual in a care facility such as a convalescent hospital, nursing home or a home for the elderly, then the cost of that care is deductible, provided the primary reason for being there is to receive medical care. If medical care is the primary reason, then the deduction will include the cost of meals and lodging and no adjustment is needed. Generally, after an individual has used up all of their resources, Medicaid will step in to provide the ongoing care of the individual. Medicaid is usually a combined Federal and state program that pays for health and long-term care for eligible low-income citizens and legal residents of the United States. It is not practical to explain all of the various states programs. However, since they are generally combined Federal and state programs, there are similarities among the various programs. This article provides a brief overview of one state's program. A Directory of State sites allows you to review the rules for any particular state. With incomes from any source are allowed to keep only $35 per month for personal needs. Patients with no income receive an SSI grant of $40 per month for their Personal Needs Allowance (PNA). They make a good faith effort to sell the home. Persons not capable of making a good faith effort to sell (for instance, those who need conservatorships) remain eligible for Medi-Cal. In that case, bona fide steps have to be taken so that someone else can sell the home. Married Couples - Couples do not have to spend all their resources in order for one spouse to be eligible for Medi-Cal coverage in a nursing facility. The person going into the nursing facility can transfer his or her interest in the home to the spouse remaining at home without affecting Medi-Cal eligibility. A couple also may divide its non-exempt property, so that the spouse at home may keep up to $1,976 a month of the couple's income and up to $79,020 of the other assets for his/her needs. The spouse at home may also keep any independent income. A couple may divide their property however they wish. In determining eligibility under the spousal impoverishment provisions, Medi-Cal counts the property held in the name of either or both spouses. As soon as the countable non-exempt property is below $81,020 ($79,020 + $2,000 which can be retained by the institutionalized spouse), the county can establish initial eligibility. The couple then has at least 90 days to transfer everything but $2,000 into the name of the non-institutionalized spouse. The non-institutionalized spouse may retain all of the income that he or she receives in his or her own name. Consult legal services or a private attorney familiar with Medi-Cal law if either you or your spouse may need nursing facility care. FINANCING NURSING HOME CARE - Generally, a nursing facility's administration will help determine if the patient is eligible for Medi-Cal to pay the costs of the nursing home. If not, they can explain under what conditions the patient may become eligible in the future. The law requires that nursing home residents receive identical treatment regarding transfer, discharge, and provision of services regardless of the source of payment. A Medi-Cal resident can stay in any bed in a nursing facility. Spousal Impoverishment Provision - Couples looking at nursing home placement for a spouse need to be aware of the special laws enacted that allow the spouse remaining at home to keep a certain amount of income and resources when the other spouse enters a nursing home. This is intended to prevent impoverishment of the spouse at home. Community spouse's monthly maintenance needs allowance: The spouse at home may keep all of the couple's income up to $2,019 per month (this is the base 1998 amount which is adjusted annually for inflation). This is called the community spouse's "monthly maintenance needs allowance". Note: This amount is adjusted annually by a cost of living increase. The spouse at home may obtain additional income or resources through a "fair hearing", or by court order. If the spouse at home receives income above the limit in his/her name only, he/she can keep it all (this is called the "name on the instrument rule"); however, he/she will not be allowed to keep any of the nursing facility spouse's income. Income received by the nursing facility spouse will go to his/her share of cost. The spouse in the nursing home is allowed to keep $35 monthly for personal needs ("personal needs allowance"). Resources: The spouse at home can keep up to $80,760 (this is the base 1998 amount which is adjusted annually for inflation) in resources, and the institutionalized spouse may keep up to $2,000. (Different laws apply to spouses who entered a nursing facility before September 30, 1989. If this is the case, the individual should contact a lawyer/advocate knowledgeable about this area of the law.) Both separate property (i.e., from a previous marriage or inheritance) and community property that is not exempt are combined and counted at the time of application for Medi-Cal. Once the resource limit has been reached, all ownership interest should be transferred to the spouse at home. The institutionalized spouse's $2,000 resource limit should be kept separately and accounted for separately. TRANSFER OF ASSETS - Institutionalized Medi-Cal recipients or applicants who transfer non-exempt assets for less than fair market value during a 36-month "look back" period may be subject to a period of ineligibility. The length of the ineligibility period depends on the value of the transferred asset or resource and date of transfer period. The period of ineligibility begins on the date the transfer was made. The 36-month "look back" period begins when an institutionalized person applies for Medi-Cal or when a Medi-Cal recipient is admitted to a nursing facility. A 60-month "look back" period for assets from certain trusts is also required. Federal law amended trust regulations makes it more difficult to set up a Medicaid qualifying trust for eligibility and estate claims purposes. For a trust already established, it is recommended that an attorney review it.